If you are into all things adventurous and getting your adrenaline pumping, then Thailand is a great place to visit. With many adventure sports and amazing places that get your heart pumping whilst discovering the beauty of Thailand, there has never been a better time to get yourself out there. Here are five of the best adventure sports to try when visiting Thailand, and where is best to do them. 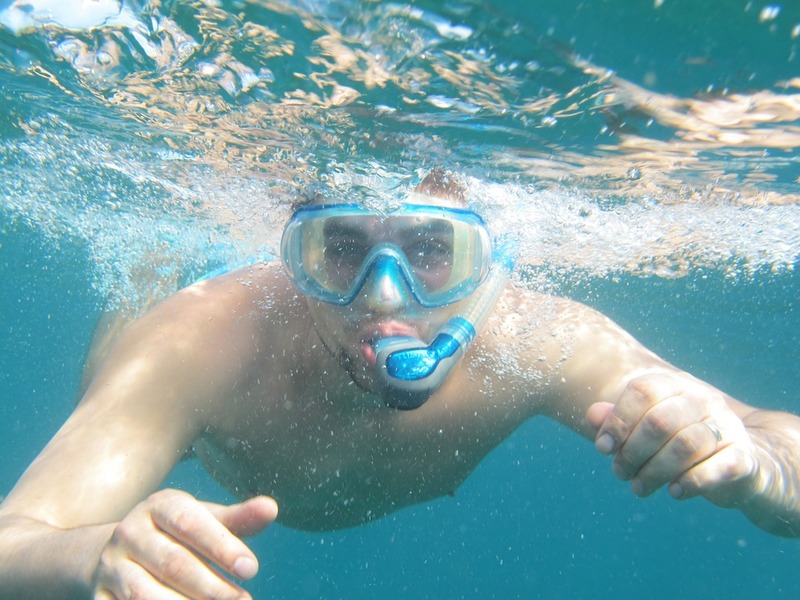 Now, diving may not seem like an adventure sport, but in Koh Tao, free diving has been incredibly popular. Free diving is diving in coral reefs without an oxygen tank. This gives you the ability to glide a lot faster through the water to discover everything underneath. The longest free dive was around 20 minutes, but even a few minutes at a time freediving is enough to get your heart racing. In Northern Thailand there are some of the biggest and thickest jungles in the country. These make for a great track for some off-road motorbiking. There are some recommended routes for those wishing to take on this adventure, such as The Golden Triangle which is 390 miles long. This takes you down windy roads to caves and elephant camps and is a thrilling and exciting way to discover Thailand. This is truly an adrenaline addict’s dream. Abseiling and rappelling underneath a beautiful waterfall in the middle of a Thai jungle can give you a thrill like no other. If you have ever rappelled down a cliff, this has got nothing on doing so whilst underneath a huge waterfall. This can be done anywhere and is a newer sport. This is a lot like rock climbing, but in much more extreme and beautiful places. Deep water soloing is a form of free-climbing that involves scaling and climbing cliff faces without a harness or anchors to help you. This is all done in the sea so you will need a boat to get to a cliff face. If you fall, you’ll just get wet. The only way down is to jump back into the sea meaning this adventure sport is thrilling but completely safe when done correctly. Railay beach is a great place to start your journey and there are many friendly locals who will show you the way. This is a motorsport that is ever popular in Thailand. As its name suggests, this is drag boat racing to the extreme. Many of the boats are made custom by the locals to win and bring customers to their shops. Whether you want to join in and build your own, Thai Boat Racing is certainly a delight to watch. Thailand is an amazing place full of adventure for those wishing to find it. Whatever sport you are interested in, Thailand has something for you. Discover Thailand and get your adrenaline pumping with any of these great adventure sports.